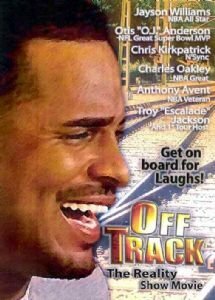 Off-Track the movie is a reality series wherein the host- Jayson Williams will cross the country with guests while living on a luxury train. The only thing that will not go off track during this hilarious laugh out loud reality series are the wheels of the train. If you have any questions about this product by Drummond & Smith Entertainment, contact us by completing and submitting the form below. If you are looking for a specif part number, please include it with your message.